I hope everyone had a great Christmas and New Year. I took some time off of work and stepped away from the blog for a little while as well. We were supposed to go to Mexico but the blizzard here in New England put an end to that plan and we weren't able to get out. So, we made the best of it and did stuff around our area. I wanted to recap all of my accomplishments in 2010 as we move into 2011. I think I was able to get a lot of projects accomplished last year. It was certainly my most productive year of quilting to date. I finished my Bento Box quilt! I made this Blooming Nine Patch for my cousin's wedding. I made a bathroom curtain for our guest bathroom (no picture). Made a baby blanket, bumper, and set of curtains for my friend's nursery. Made my first bag using Pat Bravo's Milano kit. 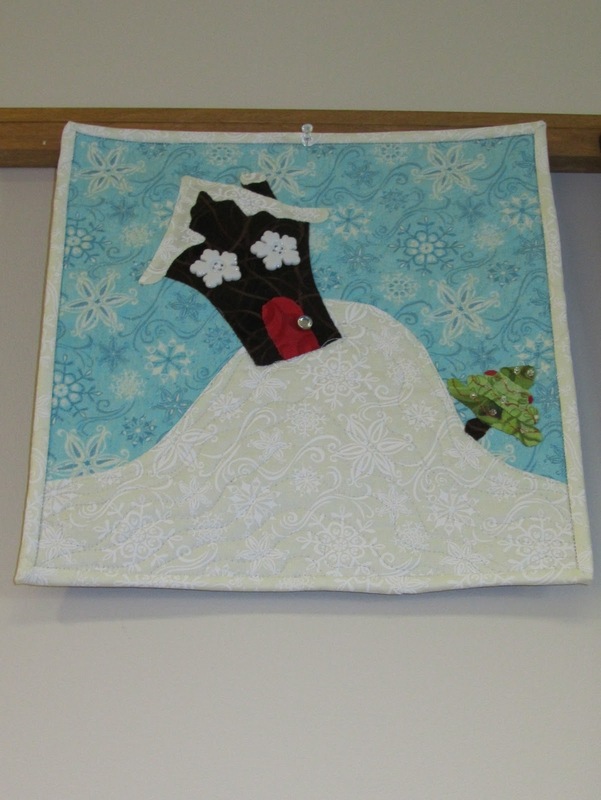 Finished my Figgy Pudding quilt. Made a mini quilt for the NEMQG holiday mini quilt challenge. 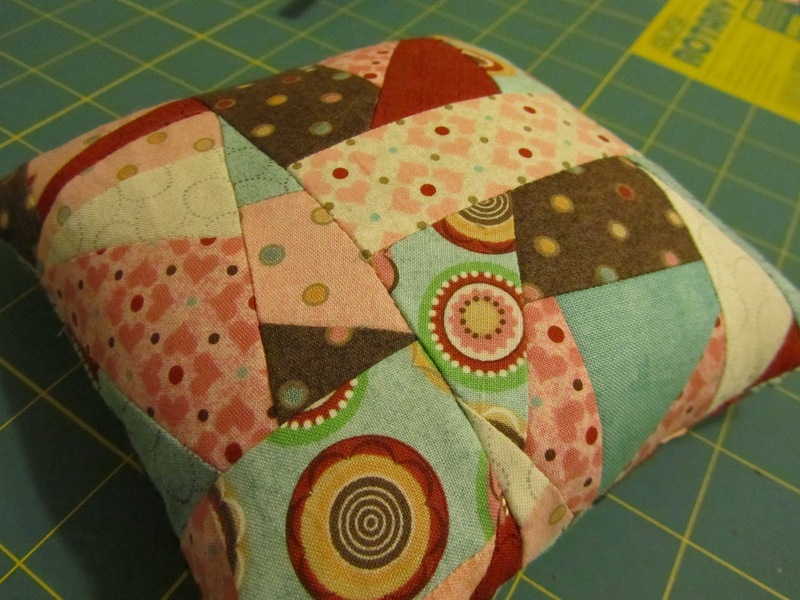 Made my first pincushion for the NEMQG pincushion swap. I also made two camera straps for my sister and father for Christmas and made a few picnic roll-ups for my Mom for Christmas which I haven't uploaded a photo of to my computer yet. All in all, I think I had a great year quilting wise and look forward to accomplishing even more in 2011. Just truly enjoyed your recap....all your projects are just wonderful! Lots of beautiful quilts completed. Cute pincushion!